Looking for hosting services for your growing business to make great returns? 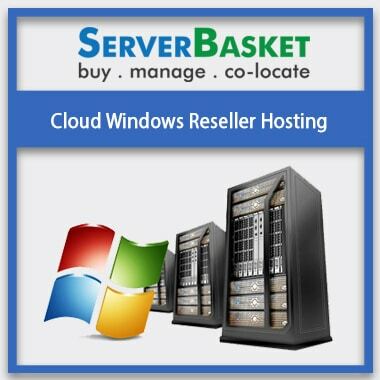 Choose ASP.Net Plesk reseller hosting business with easy management from server basket at minimal prices. Start hosting with our Plesk hosting services to your windows or Linux servers along with free migration support and best technical support. Buy now to avail reliable support, services, and automated backups at lowest prices. We provide you ways to easily manage your website using our ASP.Net Plesk Reseller hosting. With Plesk hosting service, you will enjoy a great Graphical interface with a user-friendly dashboard. It helps you to manage your account, files, applications, and email hosted on your server easily. You can easily create various websites and make required changes using our ASP.Net Plesk Reseller hosting, as it is compatible with multiple Content Management System. If you need multiple CMS for your website, no worries. With our Plesk hosting Joomla, Magento, Drupal is just a mouse click away. This allows you to create and manage multiple browsers or websites all at a time. ASP.Net Plesk hosting allows to generate multiple FTP user accounts very easily. With multiple FTP accounts, the customer can transfer files, give access to directories and create multiple users within their domain. Multiple FTP User accounts are beneficial to transfer files between an account and device or access your online software archives. We ensure to have automated backups with ASP.Net Plesk reseller hosting business. You can prefer to have a backup manually or you can schedule it for any specific timings like every week or at the end of the month. We have options for both manual backup, scheduled backup and to configure FTP backups in Plesk. Backup files, emails or data can be restored whenever required from the backup manager. We offer you ASP.Net Plesk reseller hosting services at cheapest prices. You can compare our business services prices with other ASP.Net Plesk hosting services vendor or dealers online. You will find genuine prices with no hidden charges at server basket. We sell at cheapest market prices making sure that we don’t cross your minimal budget limits. Our ASP.Net Plesk hosting services are inbuilt with award-winning advanced Firewall security features to protect your website against the virus, spam, and malicious attacks. We offer various security measures to keep your website, emails, FTPs safe and secure against DDoS attacks and any suspicious activities. We help you to migrate from your old host to our ASP.Net Plesk reseller hosting. No need to worry about downtime or data loss during the migration process. We do it successfully with the help of our technical team at free of cost. The whole migration process takes a few hours to complete, but we make sure that your website is up very fast and running. We provide you with decent 24/7 technical support to resolve your problems instantly. Our tech support team strive hard to offer reliable service, high-end security, fastest backups and great assistance to all our customers round the clock. We don’t charge any additional charges for the technical support to our customers.